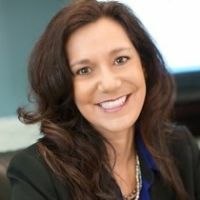 Elise Hernandez Inducted into the Minnesota Women Business Owners Hall of Fame - ideal System Solutions, Inc.ideal System Solutions, Inc.
With just $1,000, and initially based in her home, Elise Hernandez established Ideal System Solutions, Inc. (ISSI) in 1997. ISSI now has 40 employees and multiple locations in Minnesota, New Mexico, Iowa, South Carolina and Virginia. Ideal System Solutions, Inc. provides clients with business­ driven enterprise technology solutions, infrastructure management and professional services. ISSI has become an industry leader in support of government, education and commercial organizations nationwide to design and implement custom IT solutions that can achieve a client’s business objectives. Ideal’s professional sales and technical teams provide clients with a broad range of innovative solutions and services to improve the overall performance and efficiency of their computing and data center, while optimizing technology investments. Elise has now made history as the only Minnesota­ based, Hispanic, woman­ owned business to be among 65 companies awarded a $20 billion government contract. ISSI is partnered with over 100 leading­ edge technology manufacturers such as Avaya, HP, NetApp, CISCO, VMWare, Oracle and National Instruments. Its customers include the U.S. Department of Energy and U.S. Department of Defense and numerous other agencies. For the past six years, Hernandez has been working with the Metropolitan Economic Development Association (MEDA) and its Minority Business Development Agency (MBDA) offices in Minneapolis and Washington, DC to grow her business. Most recently, Hernandez was selected to receive the prestigious award of MBDA Minority Business Enterprise of the Year. Elise has garnered many more honors and recognitions including Entrepreneur Magazine’s “Top Women Owned Companies” of 2007, NAWBO’s “Emerging Business Owner” 2008 and “Established Woman Award” 2009. In 2009 she was also named one of The Business Journal’s “Women to Watch” and one of Enterprising Women Magazine’s “Women of the Year”. Elise values mentorship as she feels it has played an instrumental role in her success with ISSI, and she spends time mentoring women who want to become entrepreneurs and business owners. Ideal System Solutions, Inc. contributes to numerous local and national organizations. Elise had served on the board of a local chapter of Rotary International for over 5 years, currently serves on the MEDA Board of Directors and has been involved in numerous nationwide women’s organizations and community projects and activities including: The Minnesota Special Olympics, the Girl Scouts of America, Susan G. Komen affiliate and the Leukemia and Lymphoma Society of America. In the past few years, Elise has mentored both women and students in the areas of business and entrepreneurship through the University of Minnesota’s GAP program and Entrepreneurship Club, respectively.